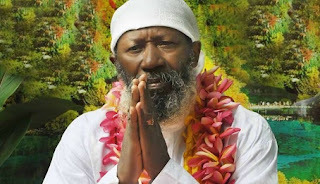 The self-acclaimed living perfect master, Sat Guru Mahraji, has said he was excited when he heard the rumour of his death, stressing that he will live more that 500 years on Earth. Some social media users had, on Friday, posted ‘report’ of Maharaji’s death but checks revealed that the report was false. Some of the online users later deleted the report while a few apologised for the post. Speaking on a radio programme monitored in Ibadan on Saturday, Maharaji said only those who disobeyed the creator died, adding that his death rumour pointed to the fact that the world wanted to know more about him. He said, “I am at the Maharaji village in Ibadan, the highest spiritual centre of the universe. I am alive and well. I am a perfect master. I got excited when I heard the news because physically, I am beyond death. “I am not involved in what human beings are doing. When I heard about the rumour of my death, I said waoh!, the one who created man determines what happens to him. The world wants to know more about me; that is why people said I was dead. “People have been calling me. I am a happy man. I am a traditionalist and king of culture. It is your behaviour and attitude that determine your death and success in life. If you are a good man, death does not exist. Anyone who dies must have done something wrong. The spokesperson for Maharaji, Ojo Peter, also said in a statement that the rumour of his principal’s death was a mischievous attempt concocted by disgruntled elements in the society, adding that the spiritualist was in perfect condition. The statement read, “The rumour of the death of Maharaji was concocted by some people who have found it difficult to silence him from telling the truth about happenings in Nigeria and the world at large. The news of the death of Maharaji is not only false but one that was mischievously concocted by some disgruntled elements.